Lot 43. Ejagham/Ekoi, Nigeria. Headcrest, 20th c.; Carved wood, stretched human skin, bone, woven fiber, paint; 14" x 8" x 8 1/2". Estimate $1,000 - $2,000. Sold for: $115,625. Courtesy Rago Auctions. Lot 147. 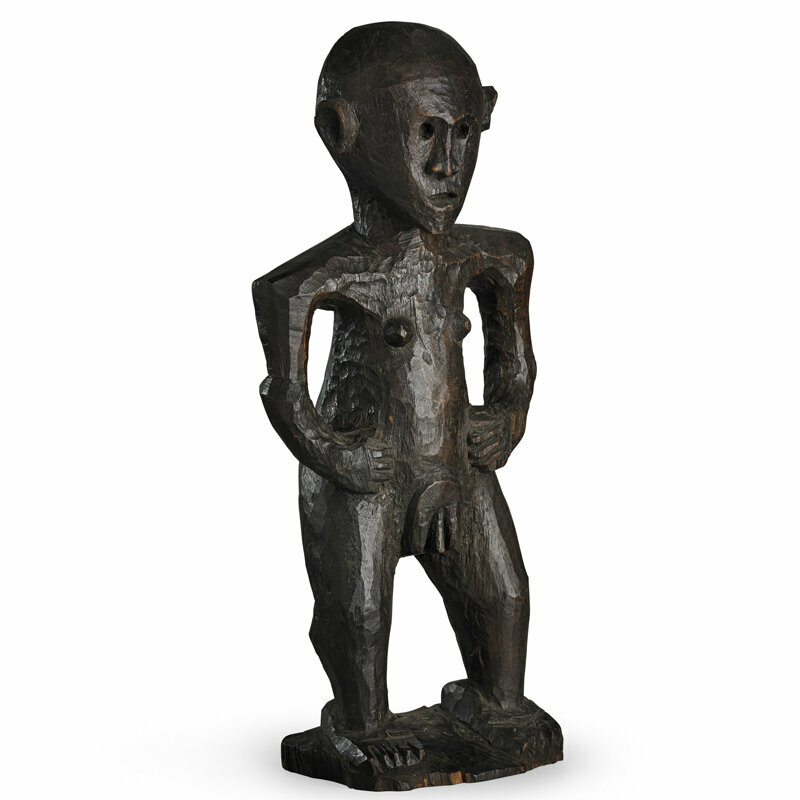 Female Ancestor Figure, Fiji, Early to mid 19th c.; Carved wood; 24 1/4" x 11". Estimate $100,000 - $150,000. 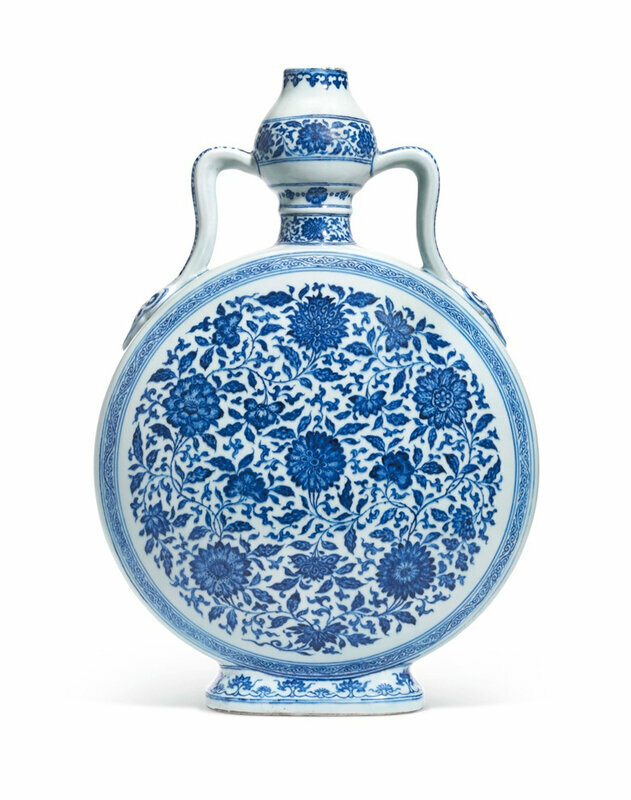 Sold for $137,500. Courtesy Rago Auctions. 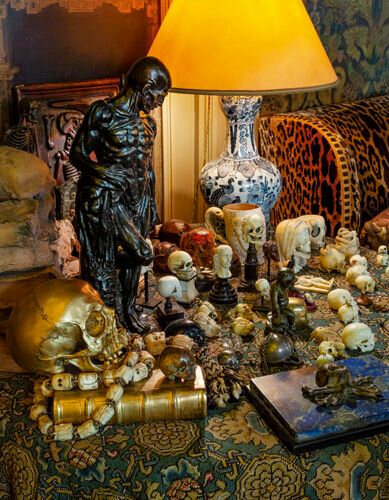 Note: Ancestor figures were physical representations of the dead which could be occupied by their spirits from time to time. They lived in the spirit houses set aside for the dead in Fijian villages. There appear to be two basic types: those intended to stand up, with feet, a base or pegs, and those incorporated into hooks used for suspending offerings. Of the extant corpus, female figures considerably outnumber male examples. 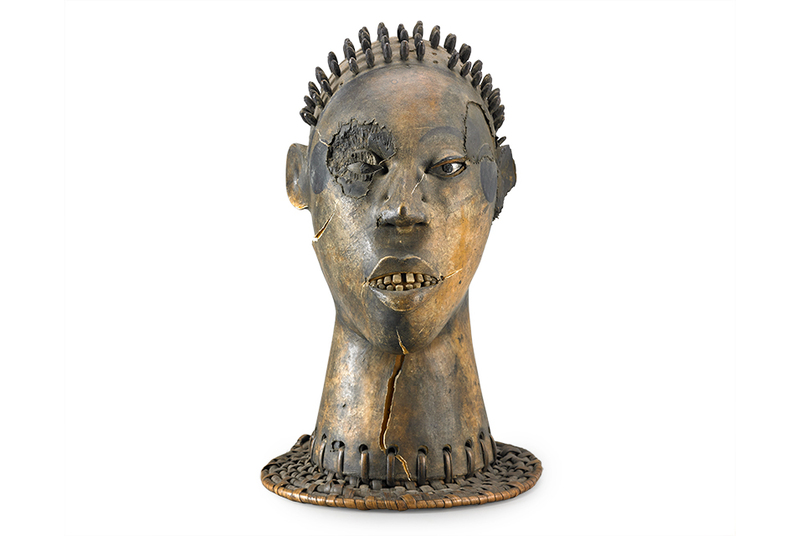 James Hooper, who probably acquired this figure sometime between 1952 and 1963, is one of the foremost collectors of ethnographic art. 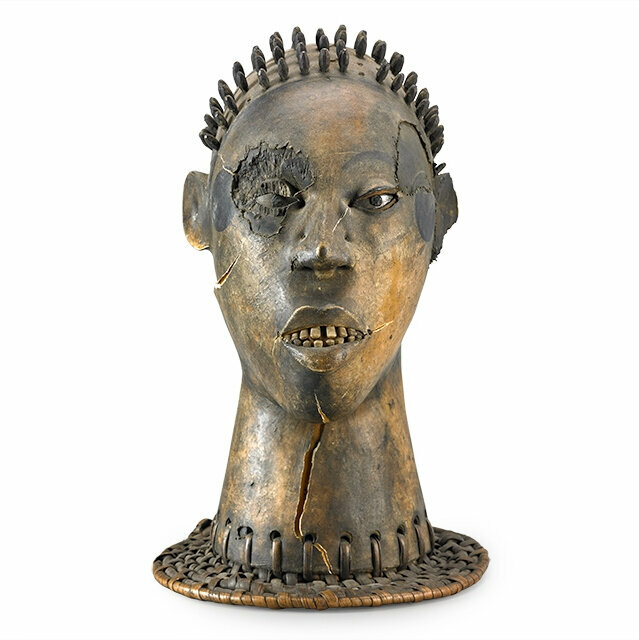 Fascinated from childhood by indigenous people and their customs, he amassed an exemplary collection of ethnographic objects which has been described as the last of the great British collections of art from Africa, Oceania and the Americas. Hooper was primarily interested in Polynesian art, but his collection also encompassed art from Melanesia and Micronesia, and finally African and Native American art. This figure was one of a pair of male and female figures sold at the Hooper auction at Christies on 19 June, 1979 and acquired by James Willis who subsequently sold it in 1989 to Allan Stone. Experts in the field date this figure from the early to mid-19th century, prior to Fijian conversions to Christianity. Lot 209. 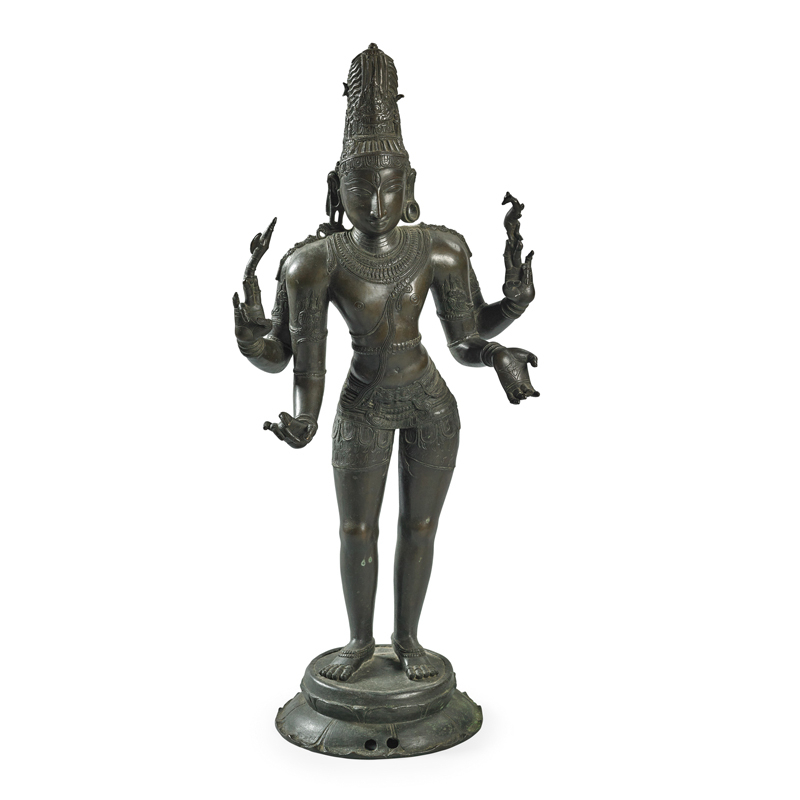 Shiva Sculpture, South India, 16th c.; Bronze; 40" x 18" x 12". Estimate $800 - $1,200. Sold for $40,625. Courtesy Rago Auctions. Provenance: Graham Gallery, New York; Allan Stone Collection, New York (acquired from the above in 1973). Note: To his devotees, the god Shiva is the supreme god. He is existence itself. He cannot be limited. He is the indefinable absolute. Because Shiva is all things, both the beginning and the end, he is responsible for both creation and destruction, as it is understood that these two activities go hand in hand, that one cannot exist without the other. In the Hindu trimurti (the concept of a trinity of gods), Shiva's role as the god of destruction is emphasized, and he is often thus referred to as the Destroyer. Shiva has both male and female components within his being. The divine female part of his essence (his shakti) provides him with creative energy. His shakti is usually understood to manifest in the form of a goddess who is regarded as his consort; Parvati is one of her many names. In his dual role as creator and destroyer, Shiva performs a cosmic dance, representing the continual cyclical nature of the universe, and when he does so he is called Nataraja. Not always actively engaged in the affairs of the world, Shiva spends much of his time as a meditating ascetic, living high in the Himalayas on Mount Kailasa. Lot 105. 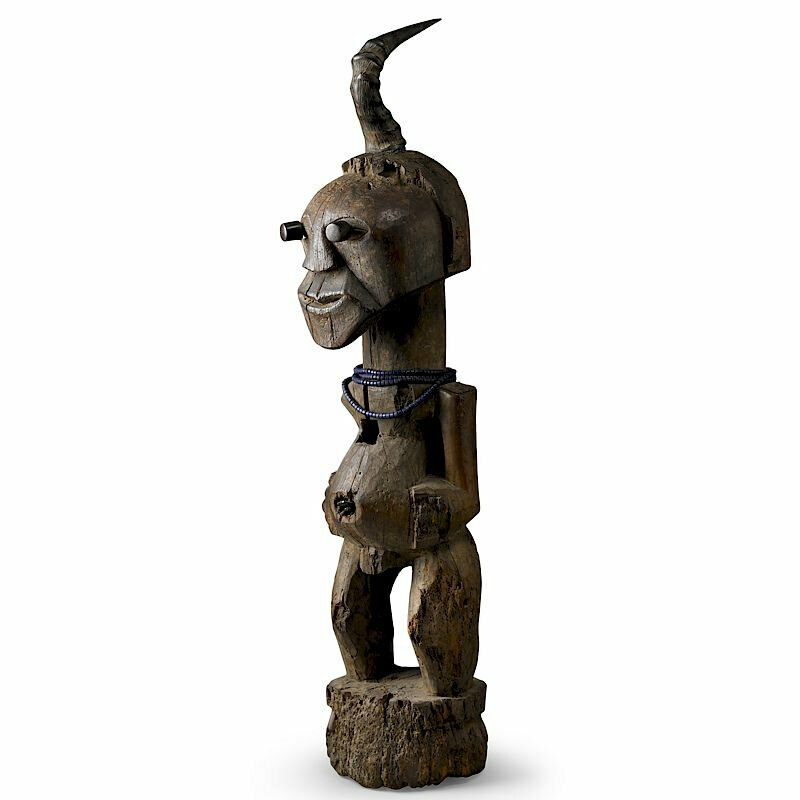 Songye, community power figure, Congo, Late 19th/Early20th c.; Carved wood, horn, beads, metal; On stand: 48" x 11"x 12". Estimate $12,000 - $18,000. Sold for $28,750. Courtesy Rago Auctions. Provenance: Merton Simpson, New York; Allan Stone Collection, New York; Condition Note: Horn reattached by professional conservator. Provenance: Helena Rubinstein, New York; Parke-Bernet Galleries, The Helena Rubinstein Collection, 21- 29 April 1966, Lot 182; Allan Stone Collection.